Giovanni Auletta/Agence Zoom/Getty ImagesMikaela Shiffrin came into the Winter Olympics with a shot at winning five medals — but she may have to settle for two. The US’s low medal count at this year’s games in Pyeongchang, South Korea, is due both to superstars underperforming and to several athletes finishing just shy of the podium. While the US has no chance of catching Norway at the top of the medal count, there’s still time to turn its Olympic performance around before the closing ceremony on Sunday. The United States is on pace for its worst medal performance in two decades at the Winter Olympics – a disappointing result for a team that entered the games with high hopes. As of Tuesday, the US was in sixth place in the medal count at this year’s Olympics in Pyeongchang, South Korea, with 12. Norway leads the pack with 29, followed by Germany with 23 and Canada with 19. The US’s lacklustre performance is the result of stars falling short of expectations and some decidedly bad luck for athletes fighting for a spot on the podium. Mikaela Shiffrin was set to become a superstar at these Winter Games, planning to compete and medal in five disciplines of Alpine skiing. 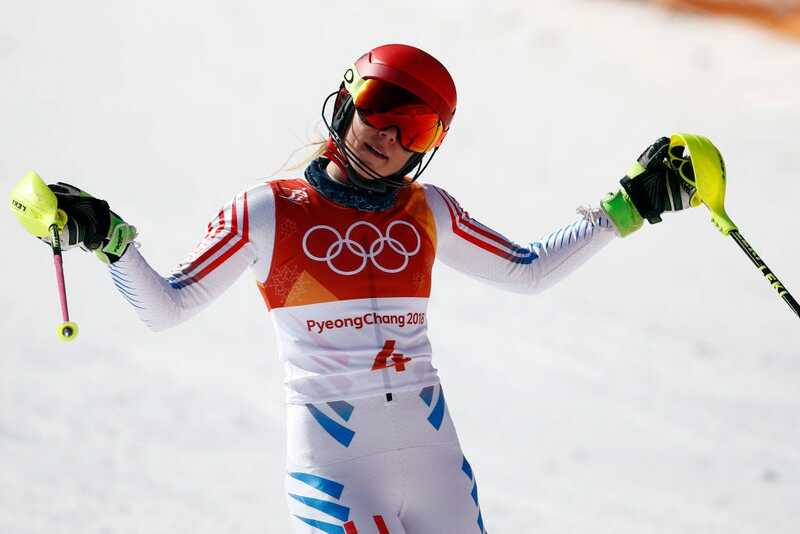 She got off to a brilliant start, winning gold in the giant slalom and setting herself up for a second win in the slalom, widely considered her best event. But a tightened schedule due to repeated weather delays made Shiffrin’s workload more difficult. After a shocking performance left Shiffrin off the podium in the slalom, her coach announced that Shiffrin would drop out of super-G and downhill to focus on the combined event. Meanwhile, though the figure skater Nathan Chen headed into the games as a gold-medal favourite at just 18, falls in the team event and his first run of singles competition quickly sent his Olympic Games spiraling in the other direction. While he found redemption in a brilliant final run that included six quadruple jumps, it wasn’t enough to bring him back into medal contention in the singles event. US athletes have also had several crushing finishes just off the podium this year. According to Sports Illustrated, the US had finished in fourth, fifth, or sixth place a whopping 24 times as of Monday – performances that were one slip, flip, or fraction of a second short of adding to the medal count. However, there’s still time for the US to turn things around before the games end on Sunday. While catching Norway is out of the question, the US women have already secured another medal in ice hockey, and the men’s team is still in contention for one, as are both curling teams. US athletes are also expected to dominate the new big-air snowboarding event in the final weekend of the games.